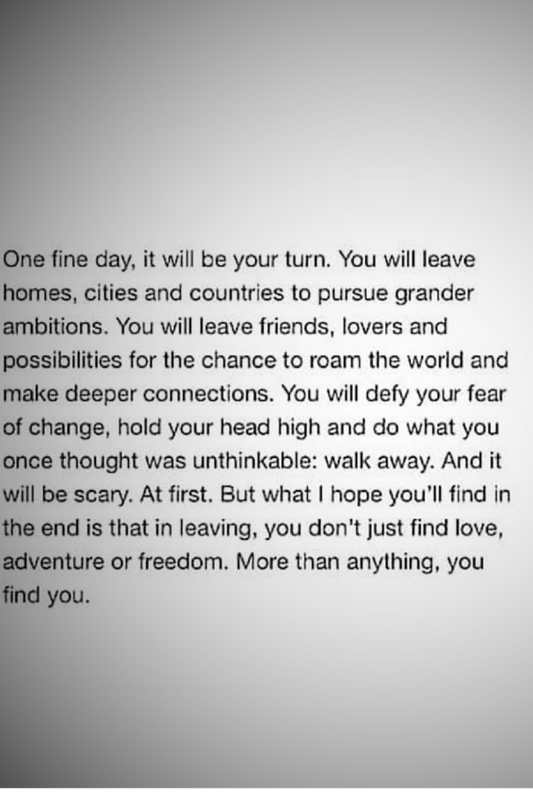 Stumbled upon this quote on Facebook and for someone who has been living abroad for a few years now, I found myself relating to it quite a bit. Flying thousands of miles away from home and moving to a new country is one great roller coaster ride. It will bring you out of your comfort zone and scare you. The unknown will make you anxious and nervous and make your stomach do flip flops. Wonderful new experiences will excite and exhilarate you. There are days when you question why you are doing what you are doing and days you wake up feeling so proud of how far you have come. It is one big adventure that will change you without you realizing. It is one great journey of conquering fears, chasing dreams and finding oneself.